The Big Grip Garden Knife reduces hand fatigue whether you're slicing through sod, digging out dandelions, opening bags of soil, planting or transplanting. 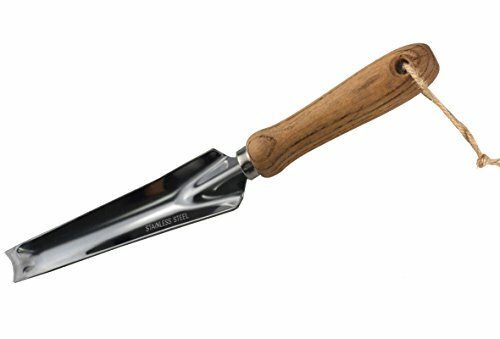 An extra-large handle with a wooden grip provides excellent control and comfort, and the cast-stainless head resists rust and won't snap off while you're digging. A sharpened blade with a serrated edge makes it easy to dig into tough soil. Additionally, the handle features a hang hole for convenient storage. If you have any questions about this product by Annymall, contact us by completing and submitting the form below. If you are looking for a specif part number, please include it with your message. By Willapa Marine Products, Inc.